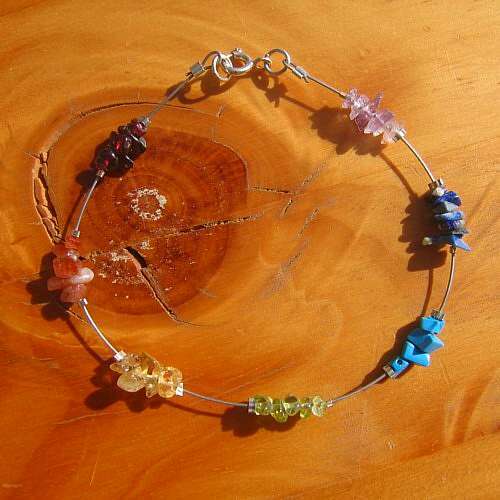 Chakra bracelet silver crystal charms. Each of the eight crystals and semi-precious stones correspond with each of the seven main chakras, plus and extra rock crystal. First of all, I set each stone onto silver wire. Then I set each, in order, on to a sterling silver chain. 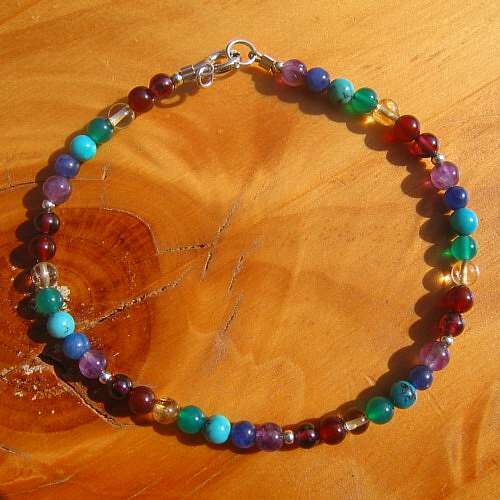 Stones used are rock crystal, amethyst, lapis lazuli, turquoise, malachite, citrine, carnelian and garnet. 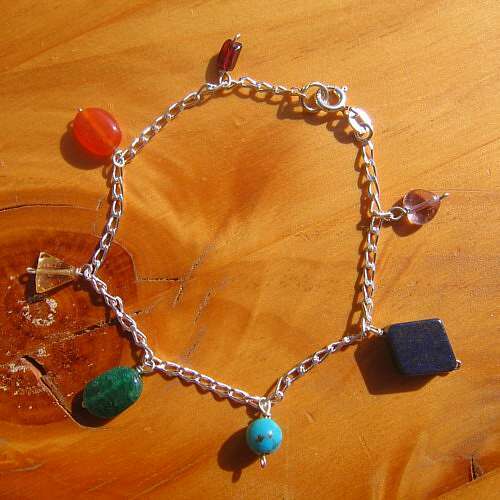 While, I use the same types of stone for every bracelet, no two stones are the same. As a result each necklace is unique to you. 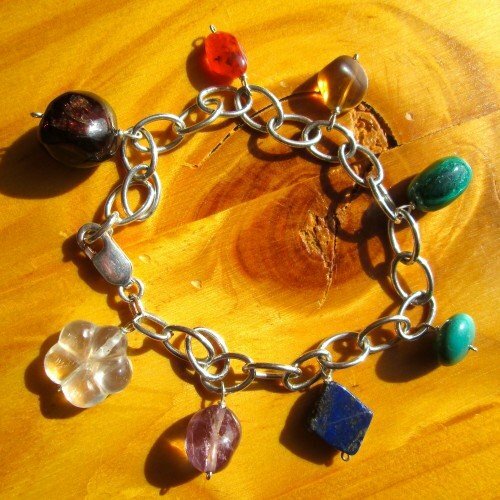 Your “chakra bracelet silver crystal charms” is one size of approximately 19.5 cm / a small 8 inches. Fully adjustable for smaller wrists. 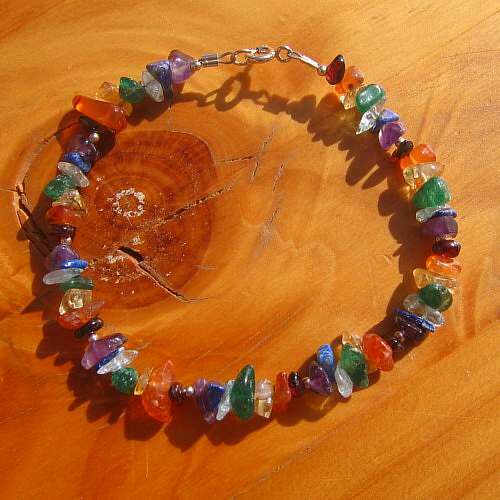 Each chakra stone looks great set against the sparkly sterling silver.